High quality plastic coat hangers. Choice of pink, white or blue. Great size for baby & toddler clothes. 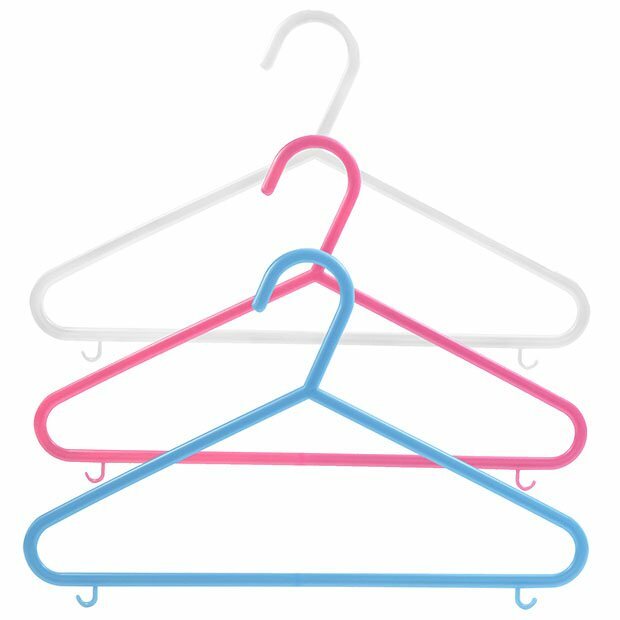 All purpose hanger- suitable for tops, trousers, dresses, skirts and babygrows. Smooth finish with lower skirt/trouser loop hooks.